This operator environment may seem familiar – the outstanding visibility in all directions, the suspended cab and smooth ride, the MultiControl Armrest that puts all the major tractor controls at your fingertips. Time is money. So slowing down on hilly terrain, tiptoeing through tough spots in the field, even spending too much time controlling your tractor, can all cost you. 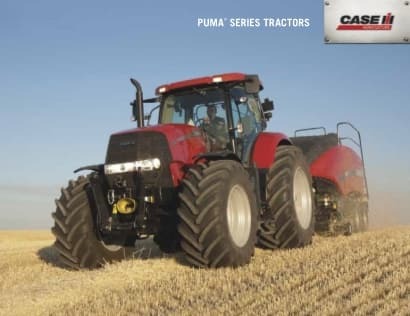 Our customers are the driving force behind the best innovations in Puma tractors. That’s because Case IH engineers work with producers in the field, then use your feedback to build even better tractors, tools and technologies. It’s the nature of farming today – producers need to cover more ground in less time. You can’t afford to be sidelined for costly service or lengthy maintenance.